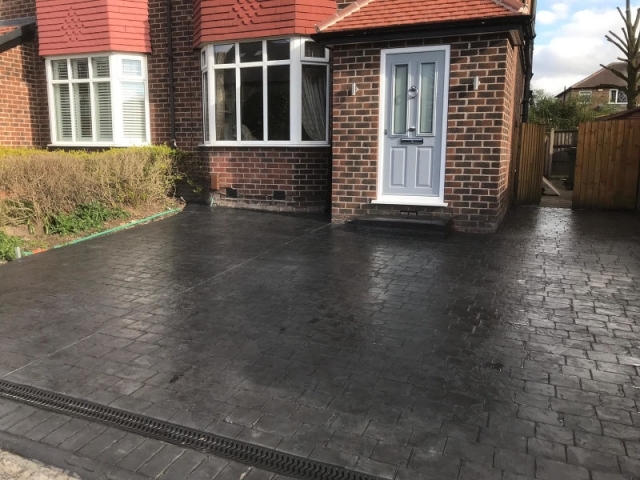 Home > News > Beautiful pattern Imprinted Concrete Driveway in Timperley! Do you look at the area at the front of your house and think it looks unloved and uncared for? A new driveway could be the answer! Pattern imprinted concrete is the popular choice for driveways and patios. It’s been around for about 50 years and in that time, it has been developed and improved so that it is now a brilliant product. Amongst its many benefits it’s low maintenance, durable and comes in a wide range of colours and patterns so you can choose a combination that is bespoke to you. Our clients in the Timperley area of Altrincham decided to invest in a new driveway and asked Lasting Impressions to install it. They opted for a pattern imprinted concrete driveway in London Cobble and coloured in classic grey. If you want to know what that looks like check out the photographs included. The outside of the property was completely transformed and created curb appeal. 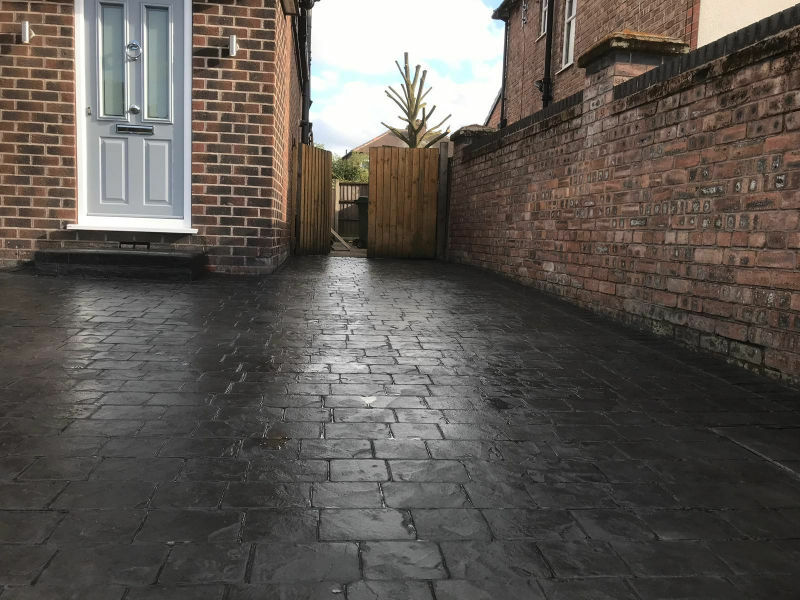 The colour and pattern of the new driveway perfectly complimented and enhanced its existing surroundings. 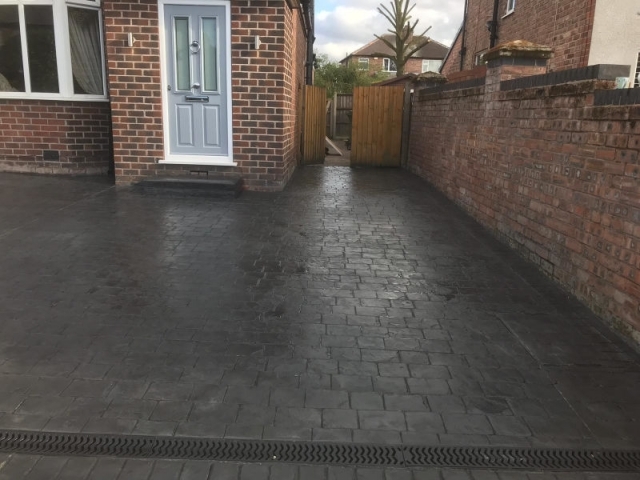 In addition to the new driveway which covered the whole area across the front of the house, we also created a nice step at the front door which matched the driveway and for practical purposes fitted a recessed manhole. Towards the footpath we installed an ACO drain in order to allow surface water to drain away. This is essential as a pattern imprinted concrete driveway is not permeable. Are you considering having a pattern imprinted concrete driveway? If you are, ring Lasting Impressions on 0161 980 8822. We can provide you with all the options available, discuss the merits of each and give impartial advice as well as a free, no obligation quote. We look forward to hearing from you!